Today, it took me 30 minutes to drive a bit under 3 miles from Queen Anne to Capitol Hill in the morning. This evening’s commute will take a brisk 1 hour to travel 11 miles. The last place I was at that got this bad was in Taipei, where my parents’ 6 mile commute took 90 minutes on average. The citizens of the city got fed up and built a true subway system. They realized that putting more highways and roads just lead to more congestion and worse traffic. Now 1/3 of that city take the subway and traffic has gotten significantly better. 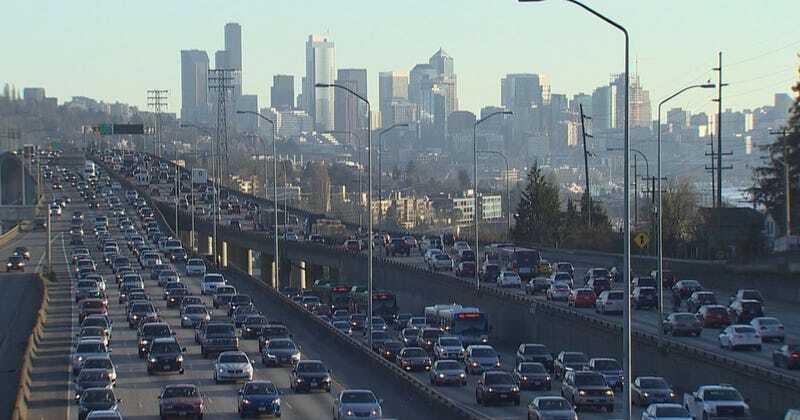 Right now, the issue is that Seattle is growing at an unbelievably fast clip, but our infrastructure needs seem to be addressing needs that are years behind the curve already. Anyways, just bitching before I need to drive home. I love driving, I hate commuting.